There are a number of reasons why you might want to consider using a nanny cam like one of these hidden camera pictures frames. Most importantly, you probably want to make sure your kids are safe when they’re with a babysitter or nanny. Or, you may have pets and need an affordable way to keep an eye on them when you’re not at home. Finally, you may have a business where theft is a problem and you want a covert way to record what’s happening. Whatever the case, we’ll help you make the best choice for a picture frame nanny cam. Keep on reading to see all of our top picks. 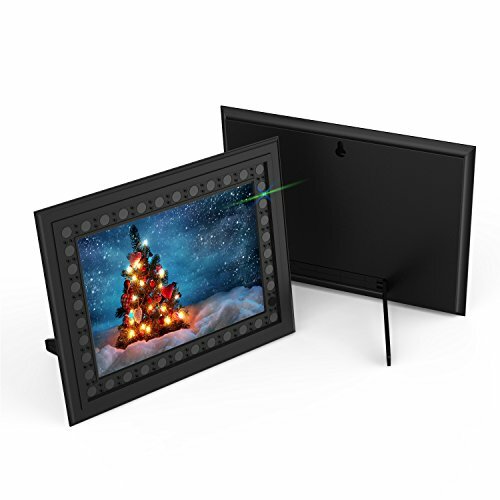 Our top pick for spy camera picture frame is this sleek, stylish one that has a ton of features you’ll love. It’s ideal for keeping an eye on things when you’re not home and also protecting your house when you’re on vacation. It’s easier than ever to keep your home, business, or family safe. Keep on reading to learn more about our top pick. 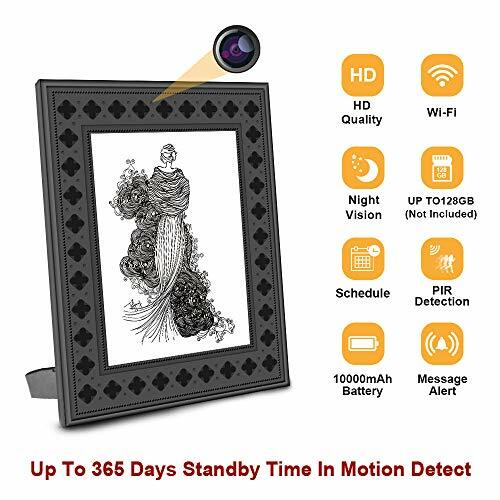 Next up on our list of the best hidden camera picture frames is this one with a unique design that helps the camera to blend in to the background. It’s actually very difficult to find, even if you know it it’s there. Besides how well hidden the camera is, there are a ton of features that you’ll love about it including the remote viewing, and impressive battery life. 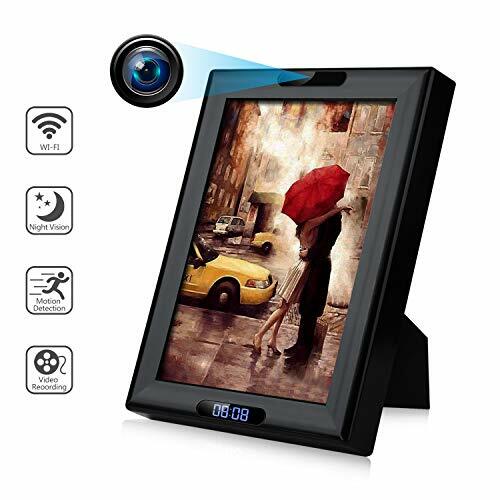 If you’re looking for hidden camera picture frames, then this one should be at the top of your list if you don’t always want to be charging it. It has a very impressive 2 years of standby time, basically the best in the business. Besides that, it’s sleek and has a nice design. But most importantly, it’s not obvious at all that there’s actually a camera in it. Keep on reading to find out more about it. That’s a great question and we’re that you asked. It can certainly be illegal in many countries around the world, and even from state to state to record people without their knowledge. It can also be legal in some situations, but not in others. We advise you to check the laws very carefully for the jurisdiction in which you live. Make sure that you’re that you’re complying with the laws to avoid prosecution. And of course, remember our #1 rule here at Spy Cameras Reviewed: only for good and not for evil. What Should I Look for in a Nanny Cam? There are a number of factors to consider when buying a nanny cam. Here are a just a few of the most important ones. If you’re buying one of these devices to keep an eye on your pets, it doesn’t really matter how covert it is. However, if you want to keep an eye on your nanny and record them without their knowledge, you’ll need to ensure that the camera is not obvious. Always having to charge your picture frame is annoying and it’s easy to forget to do it. The best frames will have a standby battery life of at least a year. Then, they’ll have at least 15 hours of continual recording time. Some nanny cams have built-in storage, but more commonly, they’ll have a slot for a memory card. Some are compatible with cards up to 28 GB, while others have room for 128 GB or even more. In general, 28 GB is fine because you really don’t need that much footage. There’s also rolling storage which means that oldest videos get deleted automatically to make space for the newest ones. 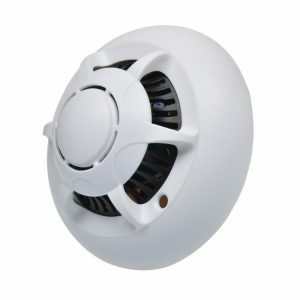 The best nanny cams cover a wide area of the room, sometimes even 360 degrees if it’s mounted on the ceiling like a smoke detector or light bulb. Not all the bad stuff happens during the day! You’ll certainly want to get something that has night vision and can work well in lower light conditions. This is a feature which you may, or may not need. If it’s connected with Wi-Fi, you can get live footage and alerts via phone or tablet app. However, it’s a little more complicated to set up and the battery life is much shorter. Or, you can just record footage to a memory card for viewing on your computer later. The choice is yours! What’s your top pick for a picture frame nanny camera? Leave a comment below and let us know what you think.